This was purchased from a collector and is in near mint condition. Includes original box and complete papers. A perfect addition to any Gold Class collector! 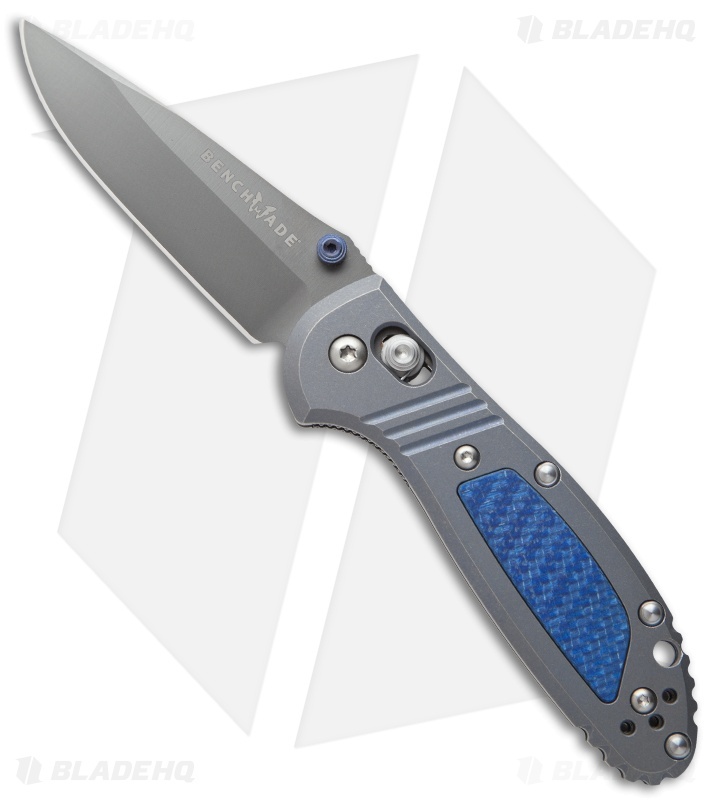 Benchmade Gold Class collectors will be thrilled to welcome the 2014 Mini Griptilian 556-141. 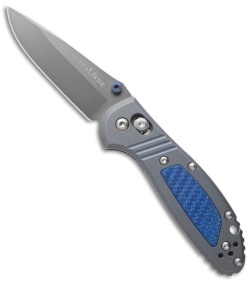 It is an extremely well-appointed Mini Griptilian folder with Benchmade's AXIS lock. 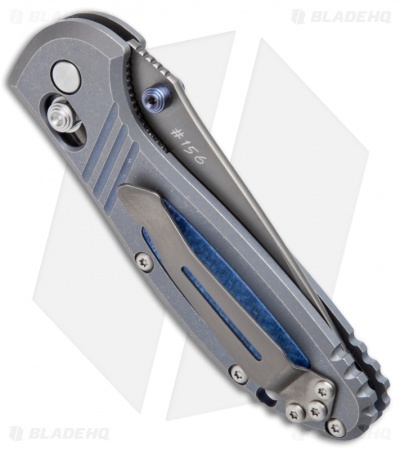 Its blade is DLC coated CPM-M4 steel with a hand polished convex edge, crowned spine and anodized titanium thumb lugs. The handle is lightly anodized titanium with blue twill G10 inlays and blue anodized titanium barrel spacers. Includes split arrow pocket clip. The 556-141 is numbered on the back side of the blade and limited to just 175 knives.